THANKS TO THE CMR ORCHESTRA! 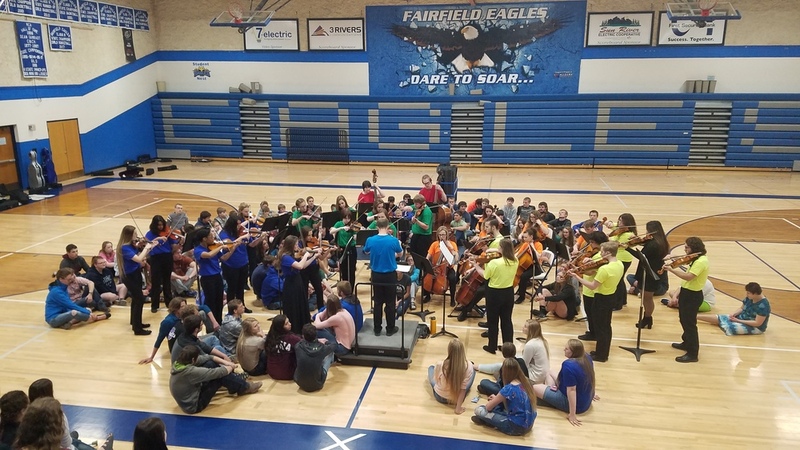 Our 7-12 students were treated to a 50 minute concert last week when the CMR Orchestra stopped by as they toured the area on their way to Missoula for a weekend of performances. Thanks to Mr. Olson and his students for putting on a nice show! They allowed our students to come down and sit on the floor while they performed the last few songs. Great experience and opportunity for our students! Thanks again!